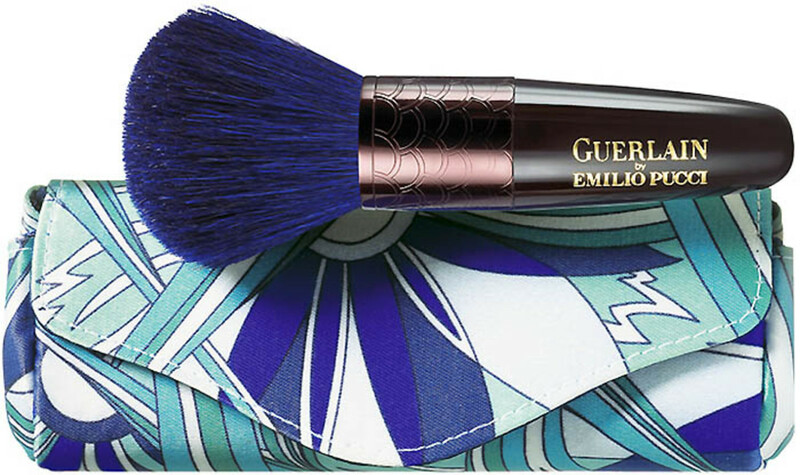 Guerlain Terra Azzurra by Emilio Pucci, the second collaboration between Guerlain and Pucci looks to Portofino's sun-splashed hues of terracotta, coral, indigo and turquoise for Summer 2012. Portofino&apos;s sun-soaked coral and terracotta hues, the brilliant turquoise of the glittering Mediterranean sea... I want. to. go. to. there. 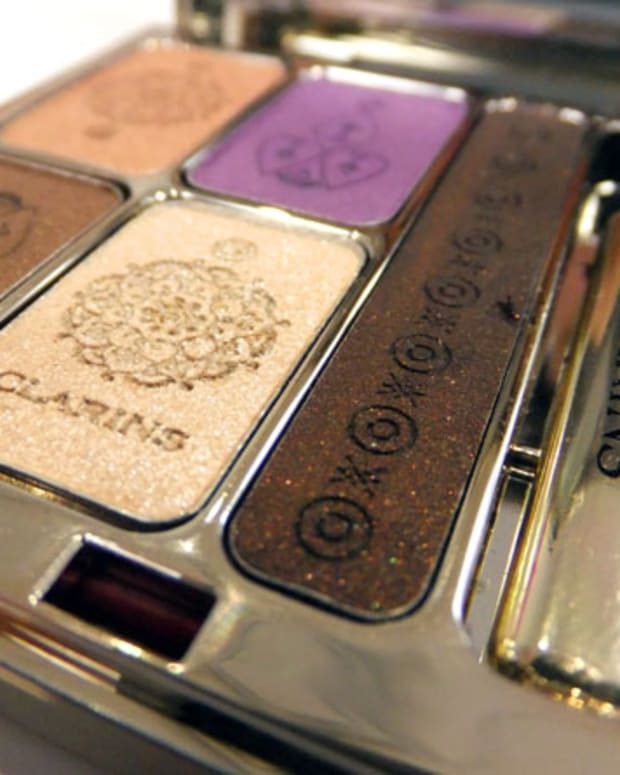 The Summer 2012 makeup from Guerlain, Terra Azzurra by Emilio Pucci, is to blame for a new yearning for the sights, sounds and seafood of the Italian Riviera. The second collaboration between Guerlain and Pucci (the first was in 2007), this limited edition collection was inspired by the rich colours of the coast in Genoa. The star of the group is the Terra Azzurra Bronzer and Blush in this beautiful polished dark wooden compact, which comes with its own Pucci-print pouch. MÃ©tÃ©orites Perles d&apos;Azur&apos;s blue pearls are a special-edition addition that works in combination with the other shades to flatter sunkissed skin (sunkissed via self-tanner, right?). $66. Also part of the collection is an indigo-bristled kabuki-style brush with its own case. $46. 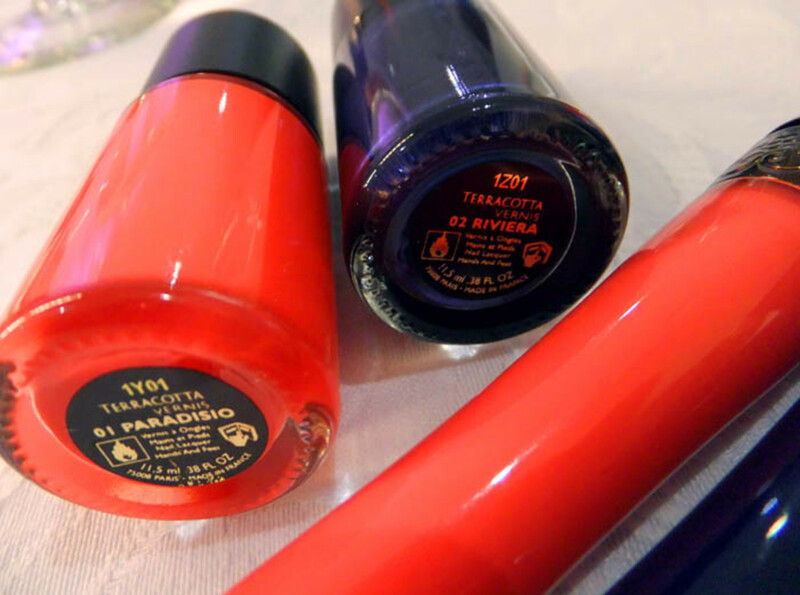 Here, Terracotta Vernis -- nail polish -- in Paradisio, a hot coral pink, and Riviera, a metallic deep indigo. $24 each. 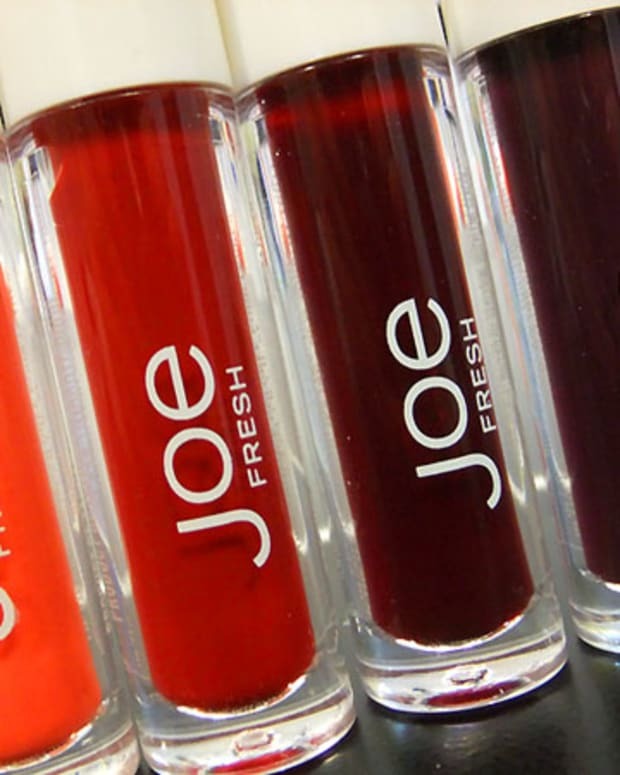 Lip gloss in Porto Fino and Porto Azzurro (looks like sheer lavender when applied). $35 each. Porto Ercole, a spice shimmer. $35. 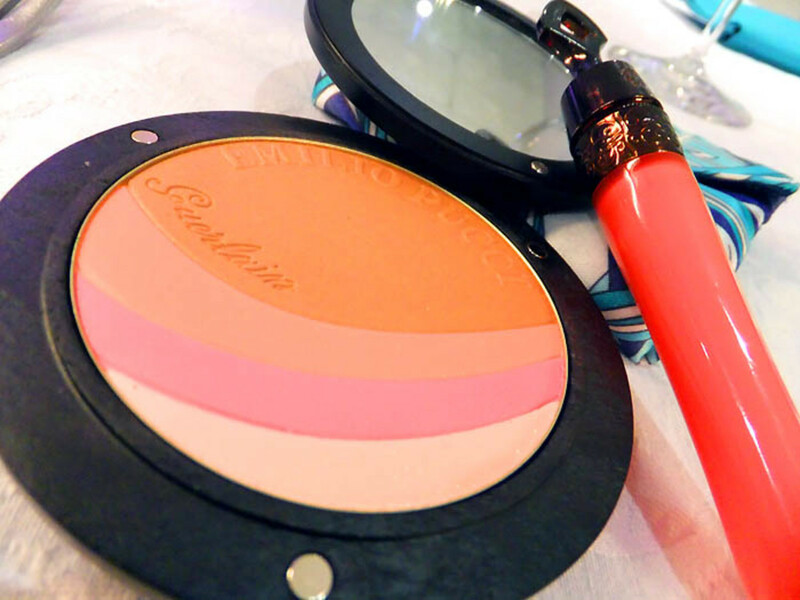 I adore coral and pink shadows -- so flattering for every eye colour. ThisÂ Guerlain Terra Azzurra by Emilio Pucci Ã‰crin 4 Couleurs in Capri includes a shade of white gold as highlight and dark brown for depth. Stunning for brides, by the way. $64. 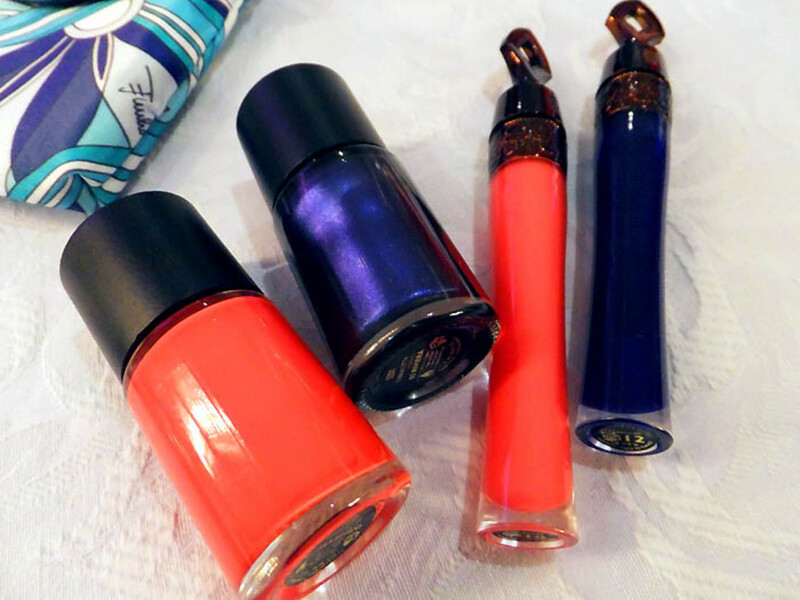 Also for eyes, there&apos;s a gorgeous indigo blue KhÃ´l in Blu Acqua ($40) and a Mascara le 2 de Guerlain by Emilio Pucci in Blu 2 Pucci in a sleek brown lacquered tube ($38). 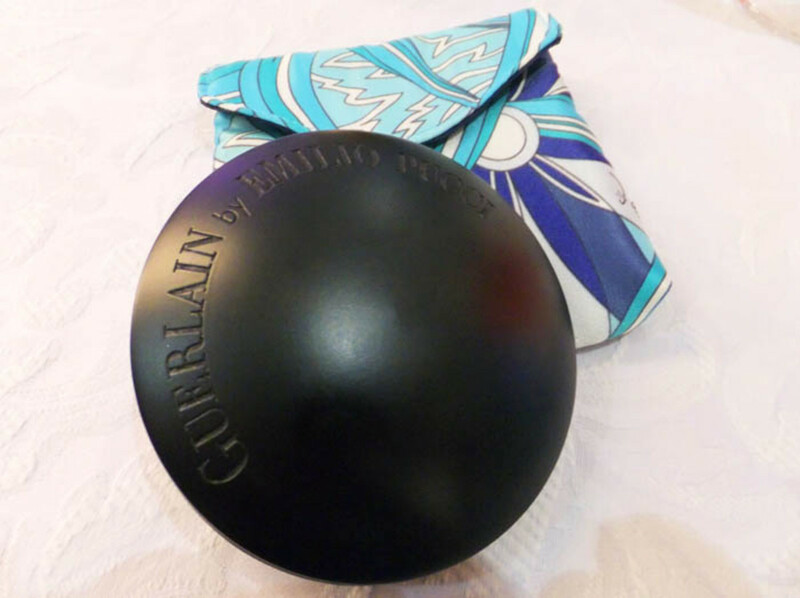 Guerlain Terra Azzurra by Emilio Pucci will be on counter exclusively at The Bay on April 15th, and available everywhere else Guerlain is sold on May 15th. Do you want to go to there with me? Preview photos via Fujifilm FinePix F300 EXR digi-cam. I heart it.